On March 3rd, the Hinamatsuri is celebrated in Japan. Tracing back its origin to the Nagashibina ritual of the Heian Period more than 1,200 years ago, where dolls were floated down rivers to wash away bad luck. Hinamatsuri has transformed into a family celebration of their little girls' well-being. (Boys celebration is on May 5.) When a family is blessed with a baby girl and March 3rd approaches, parents buy a set of Hina dolls, featuring an emperor and empress and their attendants, who consist of three ladies in waiting and five court musicians, all dressed in traditional costumes. Along with the dolls, other offerings include peach flowers, diamond-shaped rice cakes, and white sake. 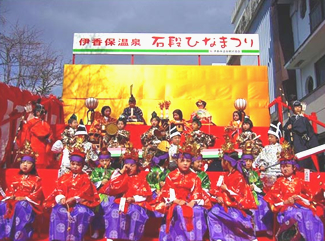 Marking the 21st Hinamatsuri, this annual event has become the most well-known Ikaho seasonal tradition taking place in early spring. It features Hina dolls, who are actual nursery school toddlers dressed in traditional costume with make-up on. They line up on red-carpeted stone-steps just as the real Hina dolls do and are as adorable as they can be. A total of 1,600 Hina dolls of all shapes and sizes will be displayed at many locations around the city, including the old residence of the last domain head of Tatebayashi, the Akimoto family. March 6 (Sun.) 10:00 - 15:30 The old Akimoto family residence is closed on Mondays. Situated on the southern face of Mt. 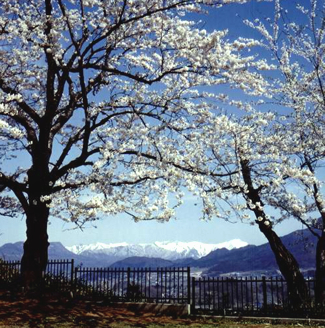 Harunasan, the Misato Plum-Grove Park offers a magnificent view of the plum grove in full bloom. 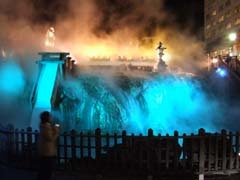 This limited time event features illuminated onsen steam at night places you in a romantic setting. You can enjoy shopping or just browsing for fun rain or shine because the festival will take place in the Green Dome in Maebashi. There will be other enjoyment like play equipment for children, food stalls of Maebashi's local delicacies, sale of sporting goods and even new cars! Admission is free. During the festival, the park will be decorated by lanterns, and some of the famous cherry trees will be illuminated. A variety of do-it-yourself type events are offered throughout the festival for your enjoyment. You can enjoy not only the cherry blossoms but also a delicious lunch and free natural water from the southern foot of Mt. Akagiyama. Please note that there will be Japanese-speaking tour guides only. See the PDF file for tour conditions.